Fans can imagine the biggest battles and missions in the Star Wars saga with Lightsabers from The Black Series! With exquisite features and decoration, this series embodies the quality and realism that Star Wars devotees love. Epitomise the power of the Force with the Darth Maul Force FX Lightsaber from Star Wars The Black Series, modelled after the Sith Lord Darth Mauls Lightsaber from Star Wars: The Phantom Menace. 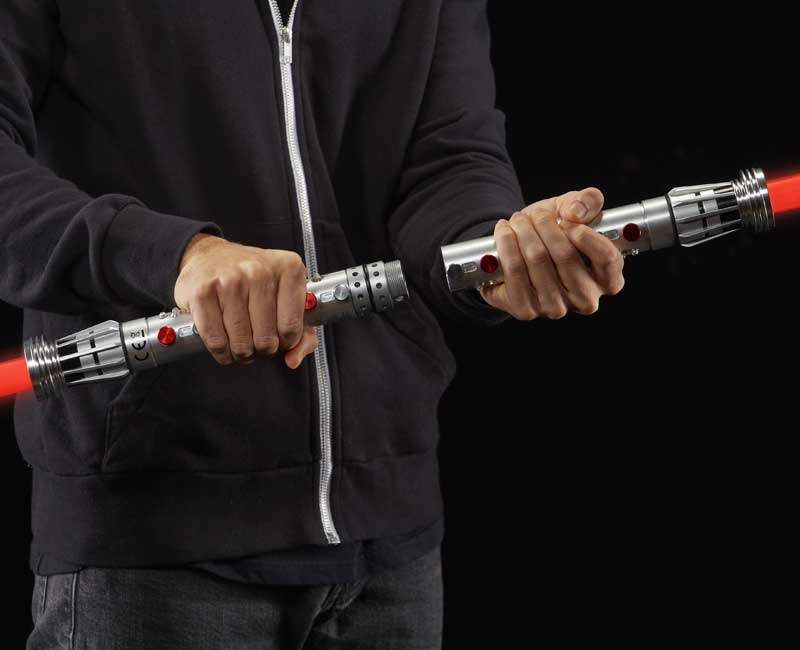 A true-to-story replica of Darth Mauls iconic red Lightsaber from Star Wars: The Phantom Menace, this authentically-designed Lightsaber is complemented by a real metal hilt and a clear display stand for ultimate collectability. 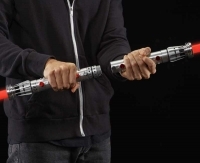 Commemorate exciting scenes from Star Wars with this Darth Maul Force FX Lightsaber and other incredible items from Star Wars The Black Series. Additional products each sold separately.